A lot has happened in the life of the Cavern since it first opened in January 1957. Last year the club marked its 60th birthday with 12 months of celebrations which included a big birthday party, a theatre show, special vinyl releases, and the publication of a limited edition book telling the story of the best of cellars over the past seven decades. Together they gave us the chance to reflect on the last 60 years, looking back at the origins of the club and reflecting on its story as well as the people who have helped make the Cavern what it is today. Now we’re about to present the final piece in that jigsaw, a new documentary which will take viewers on a fascinating rollercoaster ride through the life of the most famous club in the world. 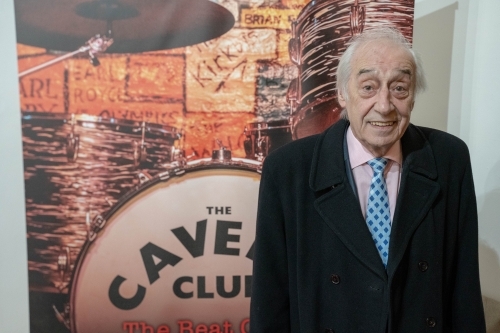 The Cavern Club – The Beat Goes On features footage and audio of, and interviews with, a host of faces past and present, including former owners Alan Sytner, Ray McFall and Roy Adams, the late Cavern doorman Paddy Delaney, the legendary Cavern DJ Bob Wooler, Merseybeat editor Bill Harry, and musicians like Len Garry (the Quarrymen), Bobby Elliott (The Hollies), Frankie Connor (The Hideaways), Karl Terry (pictured below) Pete Wylie and Sir Paul McCartney. Actor Paul McGann presents the film. 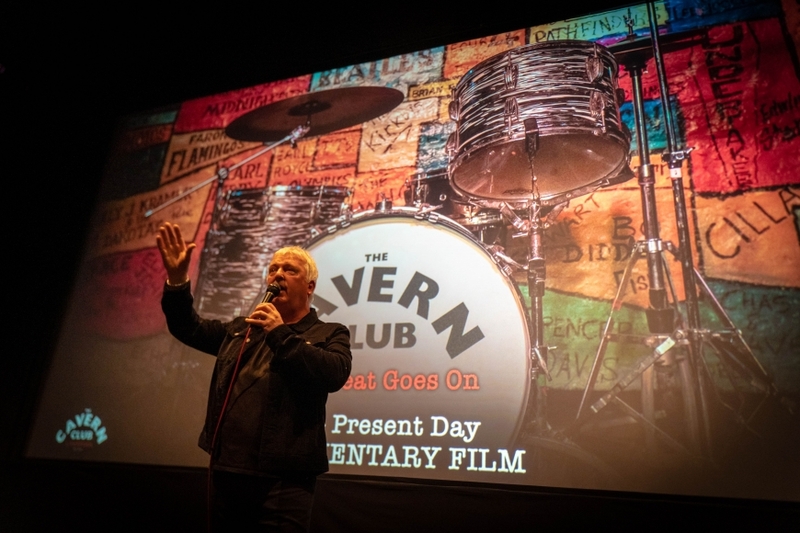 Cavern Club director Jon Keats explains: “To coin a phrase, it has been a ‘long and winding road’ to get to where we are today. How do you tell 60 years of musical history in 75 minutes? “There have of course, over the years, been many documentaries about the Cavern Club, but mostly concentrating on The Beatles era. “We set out to try and tell the full story, the definitive story of this humble Liverpool cellar that means so much to so many people, artists and fans alike. 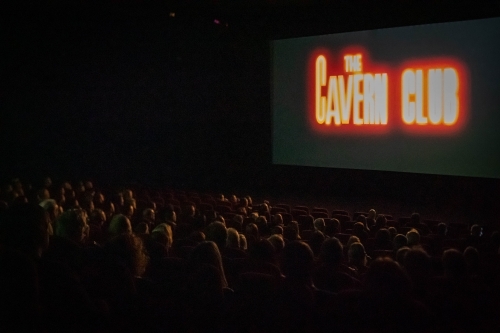 We premiered the documentary at Picturehouse at FACT this week, and in front of a specially invited audience of guests who all have had a part to play in the Cavern’s past, present, and – we hope – future. And we’re proud to announce that The Cavern Club – The Beat Goes On will be officially released on DVD on January 16 (the Cavern’s 62nd birthday) with a download release to follow as well as world-wide distribution.